The Warehouse Project partner with Manchester International Festival for a week of events at Mayfield Depot. 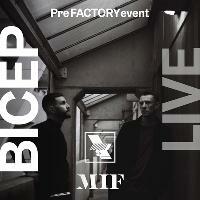 WHP x MIF – Special Edition at Mayfield Depot. A SPECIAL WEEK OF EVENTS AT MAYFIELD. The Warehouse Project partner with Manchester International Festival for a week of events at Mayfield Depot. The Special Edition runs 3 – 10 November, side by side with the full WHP18 season. Details of the full WHP18 season revealed later this month, standby for updates.